Catherine Tyree and Bokai represented Team USA in the $150,000 Nations Cup CSIO4* at the 2017 Winter Equestrian Festival. 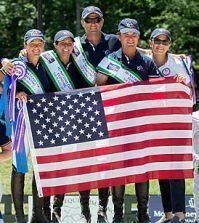 Wellington, Fla. – March 25, 2017 – The United States Equestrian Team (USET) Foundation is pleased to announce that this year’s recipients of the prestigious Maxine Beard Award are Catherine Tyree and Chloe Reid. 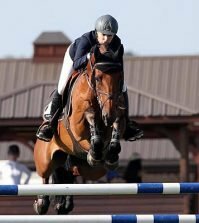 Hailing from Chicago, Illinois and Washington, D.C., Tyree and Reid will be adding this award to their already impressive lists of show jumping accomplishments. The Maxine Beard Award is presented annually to young riders who have proven their talents in the sport of show jumping and also show great potential to represent the USA in Nations Cup competitions and international championships in the future. 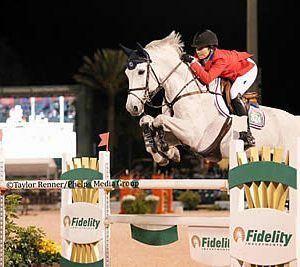 Both Tyree and Reid recently represented Team USA in the $150,000 Nations Cup CSIO4* during Week Eight of the Winter Equestrian Festival (WEF). After a fall in January 2016, which left the young rider sidelined for six months due to a foot injury, Tyree, 23 years old and a senior at Northwestern University, came back stronger than ever, consistently proving herself among some of the world’s top riders. Trained by John Brennan and Missy Clark of North Run, Tyree wrapped up 2016 collecting victories at some of the most esteemed horse shows across the country including the $50,000 Vermont Summer Celebration Grand Prix at the Vermont Summer Festival and the $86,000 Fidelity Investments® Classic CSI4* at the American Gold Cup. 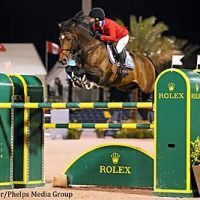 Tyree also kicked off the 2017 WEF season strong, placing third in the $75,000 Rosenbaum Mollengarden PLLC Grand Prix in addition to claiming the Leading Lady Rider title during Week One as well as placing third in the $380,000 Fidelity Investments® Grand Prix CSI5* during Week Five, both aboard Bokai, Tyree’s 10-year-old KWPN gelding. “I’m very humbled and honored to be receiving this award this year,” said Tyree. “Looking back at the list of prior recipients, it’s not only a lot of people I consider my peers but also a lot of people that I look up to. To be recognized as someone who could potentially have the same career path, results or just riding capabilities as them is something that is really special for me. I’m very excited to be getting this award. At only 20 years old, Reid spends the summer training and showing in Germany under the tutelage of Markus and Meredith Beerbaum. In the spring, she heads to south Florida to attend school at the University of Miami and to compete at WEF in Wellington, Florida. 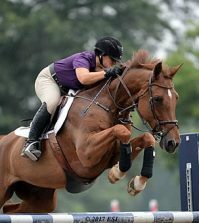 Presently, Reid has a string of five top horses, but her most seasoned partners are Codarco, a 10-year-old Irish Sport Horse stallion, and TNT Explosive, a 10-year-old Hanoverian gelding. Some of Reid’s many successes in 2016 include being chosen to represent the United States on the Nations Cup team in Samorin, Slovakia aboard TNT Explosive. 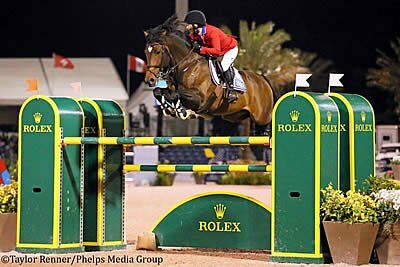 Reid also piloted Codarco to a third place finish in a CSI3* grand prix and a top ten finish in a CSI5* grand prix in Wellington. Looking ahead, Reid says she will return to Germany upon completion of her spring semester at the University of Miami to continue her training with the Beerbaums. Her ultimate goal during the summer is to make it onto more Nations Cup teams and represent the United States. “It’s an extreme honor to be chosen by the USET Foundation [for the Maxine Beard Award],” said Reid. “It’s even more special to be receiving it alongside one of my really close friends, Catherine Tyree. Tyree and Reid were recognized and honored as the 2017 Maxine Beard Award recipients in the International Arena prior to the $500,000 Rolex Grand Prix CSI5* on Saturday, March 25, during Week Eleven of WEF. Presenting the award was USET Foundation President and CEO Jim McNerney, Vice President Bill Weeks and Treasurer Philip E. Richter alongside Linda Hough representing the Beard family.